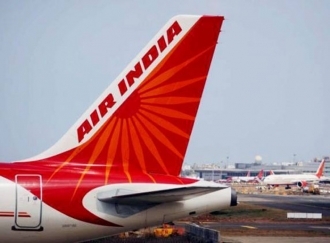 Disinvestment of Air India and rise in prices of petrol and diesel are likely to feature in an important coordination meeting of the RSS, BJP and the government scheduled for tomorrow. BJP president Amit Shah, Finance and Railways Minister Piyush Goyal, and Commerce and Civil Aviation Minister Suresh Prabhu are among those likely to attend the meeting. It will be chaired by RSS joint general secretary Krishan Gopal. The sangh's economic group, comprising Bhartiya Mazdoor Sangh, Bhartiya Kisan Sangh, Laghu Udyog Bharti and Swadeshi Jagran Manch, will present their reports and feedback on various economic policies of the government. Sources said that the issues of Air India disinvestment and rise in prices of petrol and diesel would feature in the meeting. Earlier, RSS chief Mohan Bhagwat had categorically said that Air India should not be sold to a foreign buyer. Bhartiya Mazdoor Sangh and Swadeshi Jagran Manch (SJM) have also opposed its disinvestment in the current form. According to the SJM, Air India has operating profits, but is running into losses due to its debts. It suggested that government should monetise the assets of the national carrier to repay its debt. The Centre has invited 'expression of interest' to sell 76 per cent stake and management control in the airline. The Indian government owns 100 per cent equity of Air India. The government has injected more than Rs 23,000 crore since 2012 to bail out the airline.